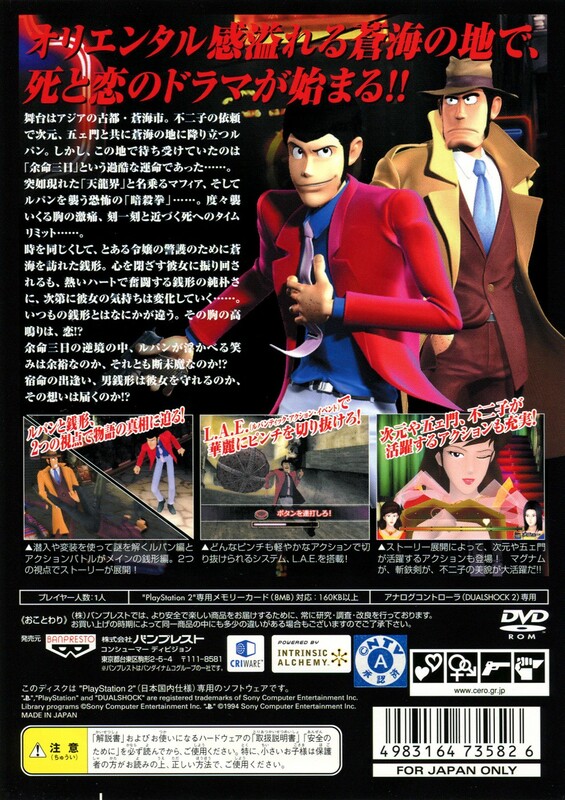 The third and final Lupin the Third game on the PS2 (not counting the various Pachinko games). Even though it's by the same team as the previous title, this entry feels a lot more lively than the first two games, starting straight off with a car chase scene where Lupin and Jigen need to rescue Fujiko. 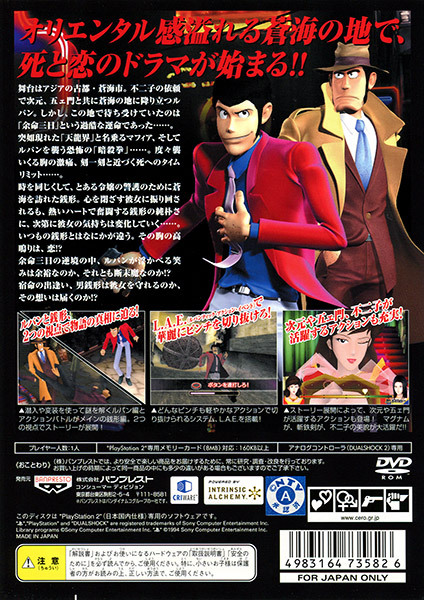 One of the coolest things about this title is that you can now play as Inspector Zenigata, who is much more of a brawler compared to Lupin's stealth-and-gunplay antics. 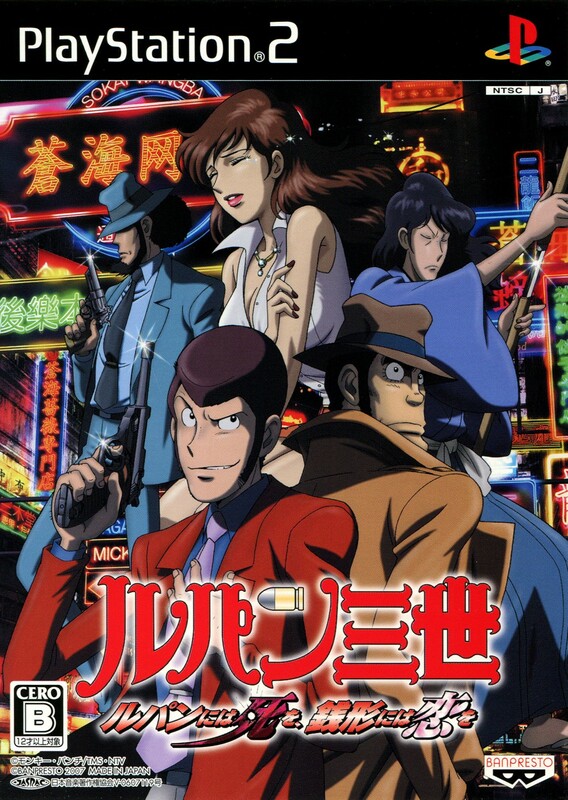 As a self-proclaimed Zenigata fan, I approve of this direction whole-heartedly. 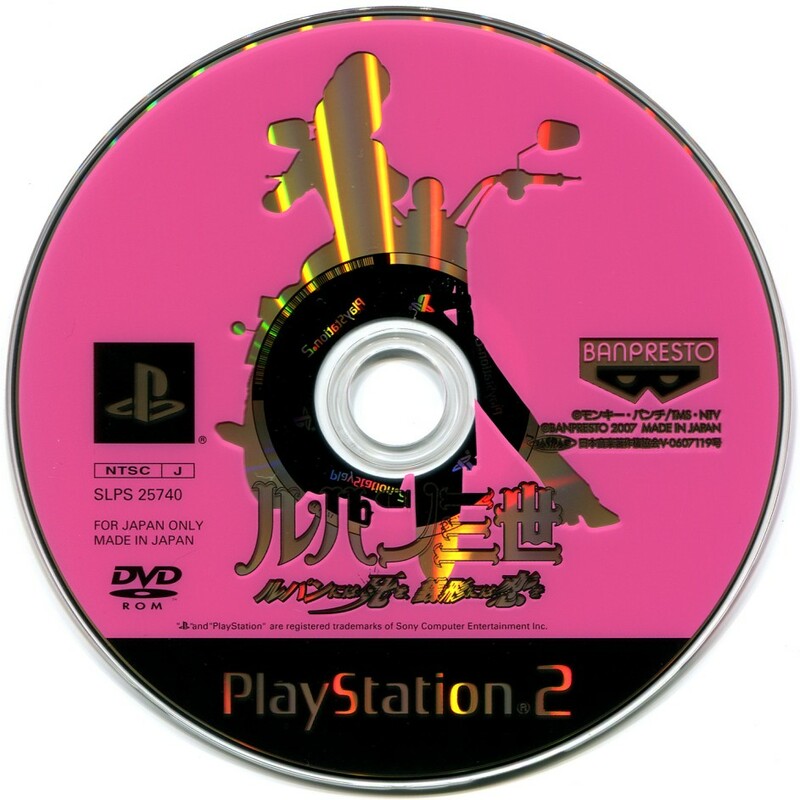 There's a bit of an over-reliance on QTEs in the cutscenes (here called LAEs... "Lupintic Action Events"), but it's still easily the strongest of the three PS2 titles.